"Online trust is key! Content is King. MyProductReviews takes care of those conerncs." 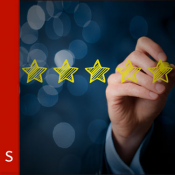 Our proven technology and algoruth ensures that only for the right product a review request goes out. As a result, equally balanced reviews across all products requested with perfect timing. Within the online landscape it has never been that difficult to win your customers' trust. With the user-generated and curated content, trust is easily increased. Google loves new content. Every new review is new content for your website. A continous flow of new content improves your SEO ranking. Seding emails is in our blood! 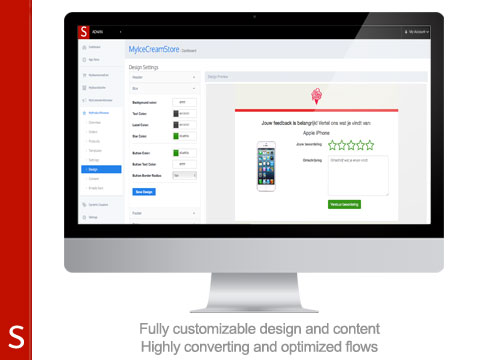 With all our Apps combined we have sent over millions of e-commerce related emails. Averaging over 70-80% open-rate our platform goes above and beyond every industry standard. 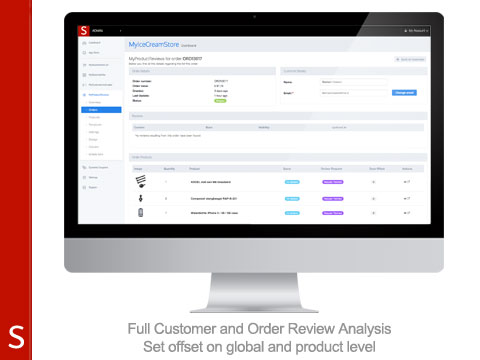 MyProductReviews is fully integrated within the Lightspeed eCom system, with the power of the Shappz Platform. As a merchant you should deal with your daily business. Therefore, we have fully automated all features. MyProductReviews uses email and design templates. No worries, even for those we take care. You don't something for nothing. Customers want something in return for writing reviews. Therefore, we have ensured that our unique and powerfull dynamic coupons system is fully integrated. Customers can receive a coupon code for writing a review every single time, only once per email address or not at all. MyProductReviews start at € 7,95 (depending on your local currency) per month with a 14 day trial period. This is a fixed fee, with a very low return-on-invest period. Should you be in need of any eCommerce help? Do not hesitate our support department, we are here to support you! You can find us at: support@shappz.com. Troubles with templates? No worries email us and we fix them. At Shappz we daily work on developing new and exciting Lightspeed Apps. As merchants ourselves, we know that a steady, yet increasing the flow of orders is a must. That is why we are committed to build Lightspeed Apps that have a big effect on your Lightspeed store at a relatively low price. Did you know that we are already serving over 3,500 Lightspeed merchants? We are an open-minded company that is continuously searching for new ideas or improvements. No-reply doesn't exist in our opinion! Feel free to have a look at our website or contact us directly via support@shappz.com.